Good news! 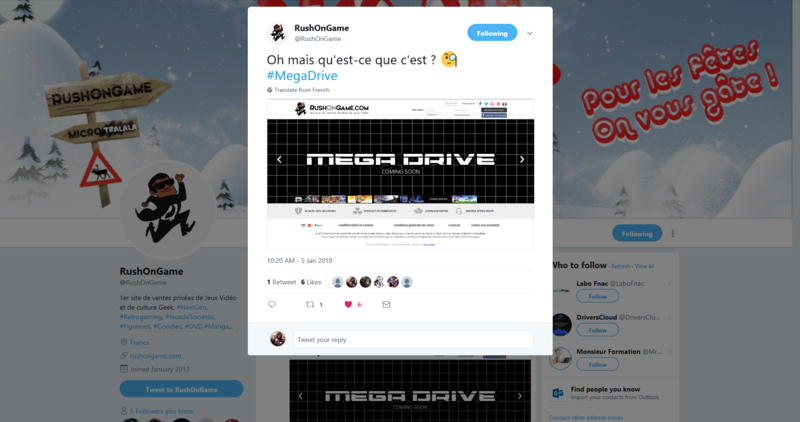 It appears that RushOnGame could soon start to stock Mega Drive (Genesis) titles – judging by a “Coming Soon…” image on their website (above) and a recent teaser tweet they posted (below). If you don’t know what RushOnGame is, it’s an online store based in France that allows indie developers to privately sell their wares. It’s probably best known across the SEGA community in Europe for stocking a whole array of brand new Dreamcast titles released last year, by devs such as JoshProd and Orion, including: Flashback, 4×4 Jam, Ganryu, Sturmwind and Zia and the Goddess of Magic (plus many more). But it now looks like they will begin to stock Mega Drive titles as well, which is very exciting – especially as there has been an increase in new Mega Drive games being developed over the last couple of years, particularly with the rise of successful Kickstarter projects. We’ll keep you updated when we know more about their first batch of Mega Drive games.